I get the feeling you’re looking to hire a Hampshire magician? Proof enough that minds can be read? Well maybe not, I’d advice checking out the video’s on the video page for something a little more impressive. 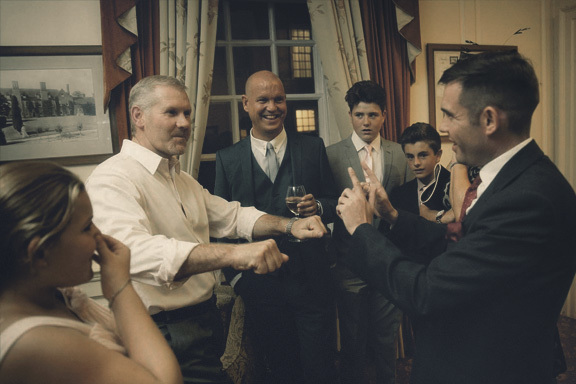 Edward has been performing as a professional magician for over ten years throughout Hampshire, the UK and the world. Every year he performs at between 100 and 200 events performing close up magic, a dinner show and a full stage show. These events include weddings, dinners, banquets, balls, corporate events, Christmas parties trade shows and charity events. His style of grown up contemporary magic is ideal for any event whether it’s an intimate private party or a large corporate event. Over the years Edward has performed at practically every event you can imagine from a tranquil book launch at the Haye book festival to backstage at Glastonbury festival. No matter what your event his performance is guaranteed to leave your guests talking about what they’ve witnessed for months to come. Imagine you had the power of a superhero. What would you choose? Flight, strength, Invisibility? How about mind control and mind reading for these are the powers that Hampshire magician Edward Crawford makes claims to. 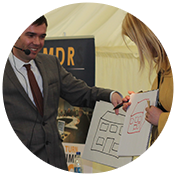 This form of mind trickery is known as mentalism although Edward much prefers the term mind reader. Think of an old friend, Edward will describe them and tell you the name. Think of your PIN number, Edward will tell you it. Draw a picture, Edward will reproduce it. This is just the basics of Edward’s unique act. In a typical performance he will also demonstrate telekinesis, moving objects with his mind, mind control, making stunning predictions and controlling the present. 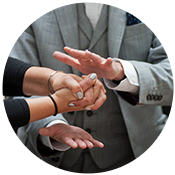 All of this will be performed in Edward’s dry and understated but humorous style that has led Edward to be one of just a few full time professional magicians performing in the UK. 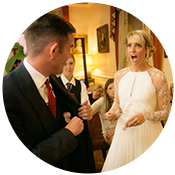 To hire a Hampshire magician contact Edward today to discuss your event. If you would like to book a magician in Hampshire simply fill in the enquiry form below. We had Edward perform at a private function last night for friends and family, I must say, just wow. I have had a chance to see mind reading and magic tricks in various bars and parties i have been to over the years and it is often hit and miss. With Edward however this was not the case and he managed to pull off and perform every trick, illusion and mind blowing performance with awe inspiring results and a coif, sophisticated and professional style. Thank you again Edward and anybody who is looking for entertainment and that something different that will leave guests talking of such a great night and/or event for decades to come, look no further! Just wanted to say an enormous thank you for last Friday. You were absolutely fabulous and we thoroughly enjoyed every moment that you spent with us. Thank you once again for entertaining us. 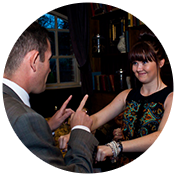 If you’re after a close up magician in Hampshire contact me today to discuss your event. Last night I found myself performing at a wedding in Hayling Island, Hampshire at the wedding of Jon and Catherine. The venue was Hayling Island Gold Club, a stunning location with scenic views, looks like a lovely place for a round of golf although with my poor golfing skills I can see the wind from the sea taking my ball constantly into the rough! I was hired to perform after the wedding breakfast, before the disco. This was a great time to perform as all the guests were ready for a bit of fun after sitting through the ceremony and meal for a few hours. Some guests stayed at their tables, others got up and mingled. I mixed with the guests either at tables or standing up and performed close up mind reading and mind magic. Reading thoughts and predicting behaviour. I also through in a little metal bending, borrowing cons off the guests and having them bend in their hands. I ended the evening with a special routine for the bride and groom demonstrating the strong bond between the two of them. 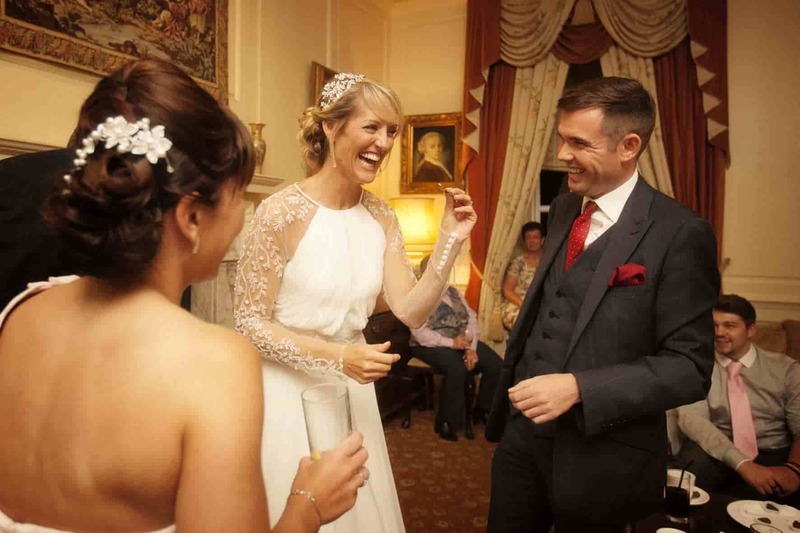 “I just wanted to say a massive thank you so much for performing at our wedding yesterday. We loved it! Everyone thought you were amazing! Christmas is my busiest time of the year so if you’re after a performance during December please book very early, the Friday and Saturday nights are often booked at least 6 months in advance. The most popular acts at Christmas parties are my close up performance for drinks parties and my parlour show for dinner parties. 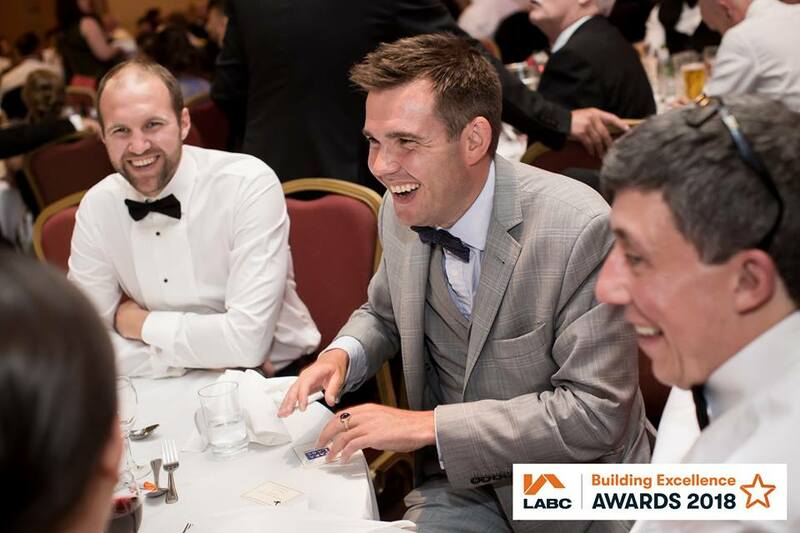 On the Friday before Christmas this year I was booked to perform close up magic for a Christmas party at the Bombay Sapphire Distillery for a corporate event in Whitchurch, Hampshire. The event was for 200 people spread out over 3 rooms at the stunning venue. A band was playing in one of the rooms so I avoided this area as it was a bit noisy and instead performed in the rooms where people were mingling and drinking. Throughout the evening I mixed with the guests engaging people in displays of close up magic and mind reading. My favourite routine throughout the evening was when I asked the CEO of the company to draw a picture, at the same time I asked one of his colleagues to think of any object. After the picture was drawn in secret the object was named, it was a crab, the picture was then shown and it was also a crab. A perfect example of mind control. Always a joy when this works, particularly when people have had a few drinks! 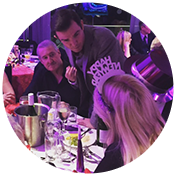 Contact Edward today to discuss booking a Hampshire magician for your Christmas party. 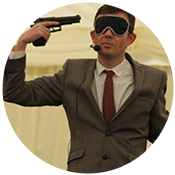 On Sunday afternoon I was hired to perform close up magic and mind reading at a garden party in Alton, Hampshire. The event was for a 60th birthday party with about 150 guests attending. It was a casual drinks party which allowed me to mix and mingle with the guests for about 3 hours showing each group a five to ten minute routine of close up magic and mind reading. A huge thank you to Angie and Nic for the booking. 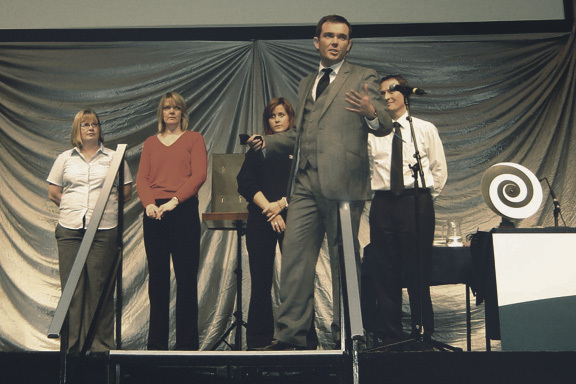 If you’re after a Hampshire Magician for your event please get in touch. Winter is coming to an end and wedding season is upon us. On Saturday afternoon I found myself performing at my third wedding of the week. This time in the lovely village of Totford in Hampshire at The Woolpack Inn. The wedding was a small intimate affair which are always some of my favourite events to perform at. 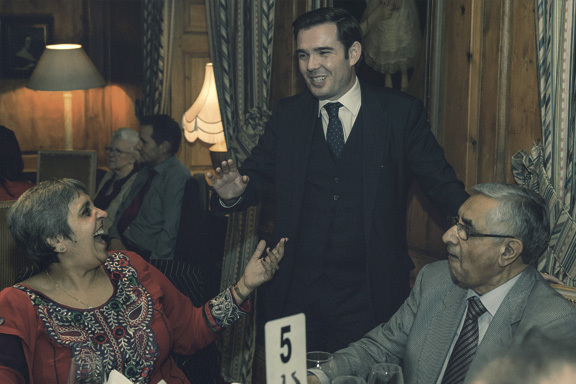 Whilst I was performing close up magic and mind reading most of the guests gathered around to watch so it turned into more of a parlour show type performance. With small events like this though it allows me the opportunity to keep things informal and really get to know people as I read their minds. A really fun way to perform. I ended the show with a set piece from my full stage show which included the bride and groom. A really memorable way to end a show. I’d been booked for an hour and a half but ended up staying for 2 hours as people kept asking to see more, my favourite type of compliment. 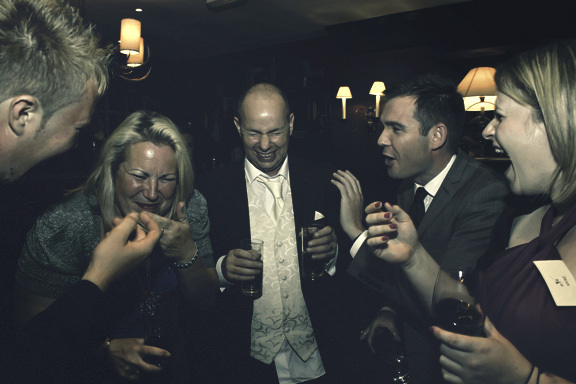 If you’re after a Hampshire wedding magician please get in touch for more details.